I have long respected John MacArthur for his passion for God's sovereignty, his devotion to biblical studies, and his love for the truth. His tenacity for the truth, however, became a repeated Achilles' heel in this book. 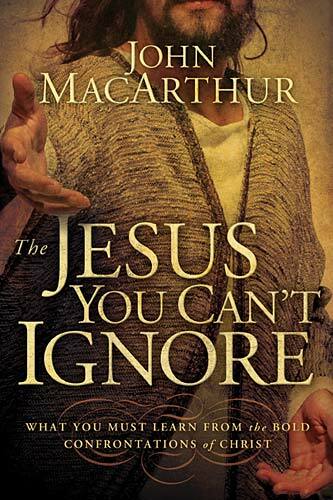 I agreed with many of MacArthur's premises in The Jesus You Can't Ignore in principle: Jesus did not shy away from conflict, in fact he seems to pursue it often with the religious leaders of his day. Jesus did not soft-pedal around his points of disagreement with them. Many Christians today are afraid to step on any toes in defense of the Gospel. However, there was one distinction that I felt was not made clear enough often enough. Jesus did not handle all his conflicts in the same manner, he did not treat all his audiences with the same aggression. In fact, Jesus reserved his fiercest combativeness solely for the religious leaders of the Jews. Jesus held those who "were entrusted with the oracles of God" to a higher standard. Many others (the woman at the well, Nicodemus, Pilate, the disciples) had wrong beliefs that Jesus addressed in a manner far different from the manner he used with the Pharisees and their ilk. While the Gospel essentials were worth fighting for, both his audience and subject matter influenced the response that Jesus delivered. 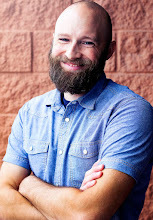 The Jesus You Can't Ignore fails to make this distinction often enough and reads like a overly reactive response to the new postmodern, permissive, and passive Christian stereotype. MacArthur's battleground seems to revolve around "the truth" rather than the Gospel and fails to make some important distinctions (i.e. Gospel essentials vs. non-essentials, Christians vs. non-Christians, sincere but mistaken believers vs. malicious twisters of the Gospel). It would be a great mistake to tell Christians to handle each and every confrontation with the same aggression as Jesus did in his disagreements with the Pharisees. Unfortunately, when we shift from contending for the Gospel to fighting for the truth, the battle lines we draw exclude everyone we disagree with and every disagreement becomes grounds for a fight. Everyone would be much better off taking the whole counsel of Jesus' example in addressing conflict both as bold and gentle, at times harsh and other times cordial. This book was a free review copy provided by Thomas Nelson. You are not going to win any points with the Pastor MacArthur fanboy club.